As Uber has grown in Arizona, so has our impact on the local economy. Nearly 10,000 people — from Flagstaff to Phoenix — have partnered with Uber for the opportunity to earn a flexible income on their own terms. And those drivers are delivering customers to small businesses all across the state. But we aren’t done yet. We are committed to growing our investment in Arizona’s economy, while expanding the availability of safe, reliable and affordable rides. Today we took that commitment to the next level with the opening of a new Center of Excellence (COE) in Phoenix, which will bring nearly 300 jobs to the Valley, while enhancing our mission to provide world-class community support for our valued riders and driver-partners. Our new COE will cultivate the skills, leadership and talent of local residents responsible for delivering high-quality community support services to riders and drivers from cities across the globe. It will be a key asset in our mission to deliver a world-class customer experience and develop support services for new Uber products. This is a big day for Uber Arizona. On hand to help us celebrate the occasion were Uber’s Chief Advisor and Board Member, David Plouffe; Mayor Greg Stanton; and Governor Doug Ducey, who spoke about how investments like the COE will create jobs, grow the economy and enhance Arizona’s position as a leader in innovation. “Arizona is a national leader in embracing innovation and new industries. Uber is proud to expand its operations in the Valley, bringing hundreds of new jobs and helping developing the next generation of leaders right here in Phoenix.” —David Plouffe, Chief Advisor, Uber Technologies, Inc. Thank you to Governor Doug Ducey, Phoenix Mayor Greg Stanton and to all of the COE employees who have joined us in our commitment to excellence in support. Most of all, a big thank you goes out to all of our riders and driver-partners across Arizona, the nation and abroad who keep us on the road, delivering safe, reliable and affordable rides. The center will be a key asset in Uber’s mission to provide an effortless, rapid and efficient support experience to riders and partners; to build and develop support services for new Uber products; and to drive continuous improvement and innovation on behalf of the Uber Community. Jobs include Community Support Representatives, data analysts and process improvement specialists, along with various management and supervisory positions. As one of the fastest growing and most dynamic metropolitan areas in the country, Phoenix is the ideal location for Uber’s new Center of Excellence. The availability of a strong workforce, the desirability of the location for employees, and a strong business climate will ensure its success for years to come. How many jobs will the COE bring to Phoenix? 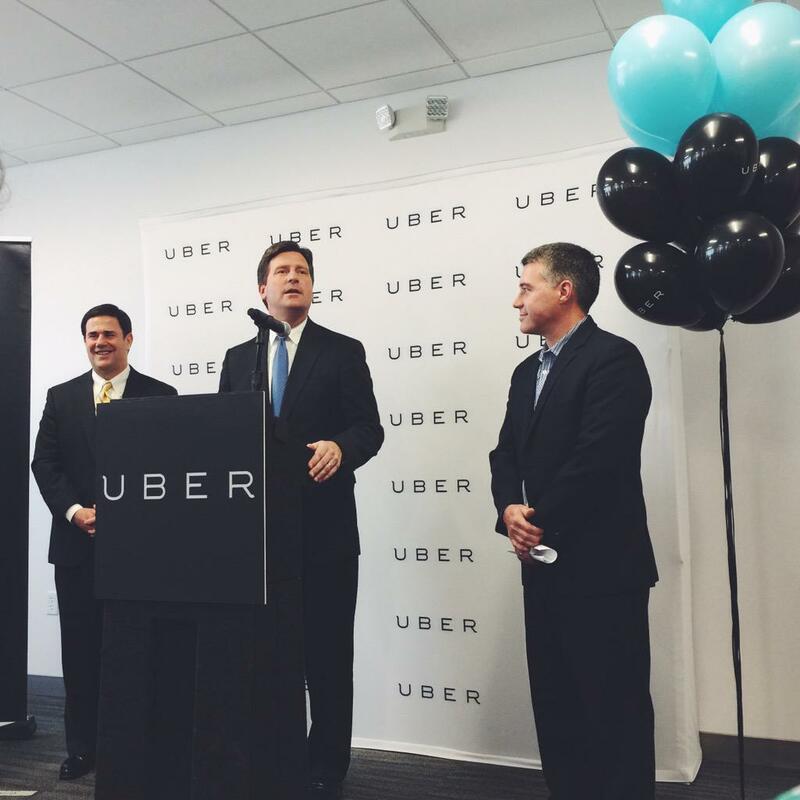 Uber’s new Center of Excellence will employ several hundred people over the next five years. What kind of jobs is the COE hiring for? Jobs at the Center of Excellence will include community support representatives, data analysts and process improvement specialists, along with various management and supervisory positions. If someone is interested in a job at the COE, how do they apply? We are always looking for new talent to join the Uber team. Interested applicants should go the Uber careers page.